Upgraded Server Software results in even faster loading websites! Home » Web Hosting » Upgraded Server Software results in even faster loading websites! Server software update/upgrade and an addition of a new server in the USA. Server software upgrade results in even faster website page load speeds! Don’t be left behind in the search engine results because of a poor user experience and a slow website. Some of the fastest web hosting can be found right here, check out these impressive page load scores. 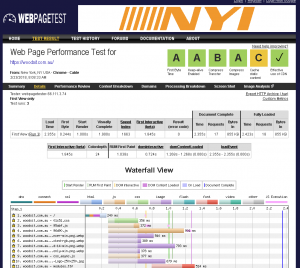 For the server in the USA, Web Page Test results show Time to the first Byte (TTFB) of only 0.244 seconds, page load visually complete at less than 2 seconds and a speed index result of 1663! 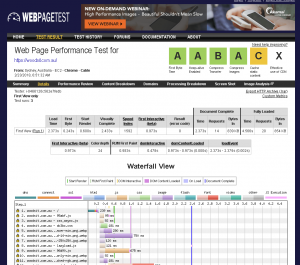 For the server in Australia, Web Page Test results show Time to the first Byte (TTFB) of only 0.243 seconds, page load visually complete at 2.4 seconds and a speed index result of 1592! 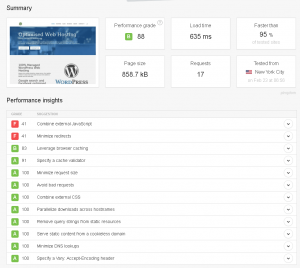 For the server in the USA, Pingdom results show performance score of 88, page load time of 635 milliseconds and state the website is faster than 95% of tested websites! 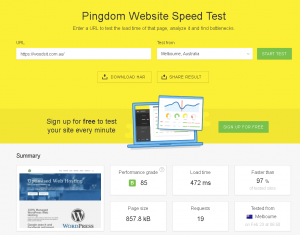 For the server in Australia, Pingdom results show performance score of 85, page load time of only 472 milliseconds and state the website is faster than 97% of tested websites! 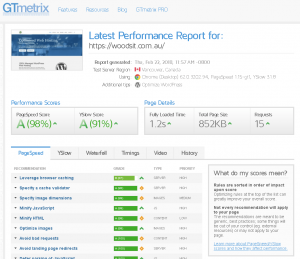 For the server in the USA, GTmetrix results show page score of 98%, a YSlow score of 91% and page load time of only 1.2 seconds! Google PageSpeed scores are consistent at 82 for mobile and 92 for desktop computers. latest SEO software installed and configured to ensure you rank well on Google called Schema? automatic image optimisation so they load as fast as possible? uses the latest/fastest protocols HTTPS/2 and QUIC? uses the fastest premium DNS servers (with Geo Proximity)? uses the latest/fastest server software PHP 7.0? uses the latest/fastest database software MariaDB? fast SSL certificate loading (and the SSL certificate is free!)? does your website get treated like it is their own (and goes as fast as everyone else too!)? Read more about some of our recent advancements in the latest client newsletter. Now web hosting clients that require high speed hosting in the USA can get it here! With there “primary” server located in their main business country, their website can now be replicated between Australian and the USA. As required there are plans to add more servers in Europe and Asia too. Join us, were building websites that delivers the best user experience possible. See what our current clients say or find our simple pricing here and when you are ready to move your website contact us here. Got questions, email info@woodsit.com.au or call 0422 438 704.